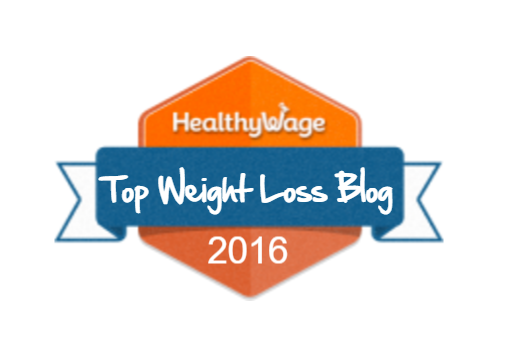 I am bursting with excitement for joining along with my sister, Alyssa, on this blogging journey through weight loss! I have decided to challenge myself further by doing a “Hula Hoop 30-Day Challenge”. 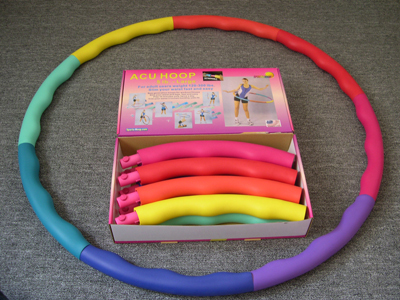 Back when I was losing my big chunk of weight I invested in my most precious exercise tool yet – The Acu Hoop! The Acu Hoop is a three to five pound hula hoop that advertises itself as an easy and fun way to lose inches off the waist with a mere ten minutes a day. I discovered it while working at the gym and lost nine inches off my waist with the combination of healthy eating and exercise. I’ve continued to use the hula hoop from time to time when I need to lose an inch or two for an upcoming event and it still amazes me with results within a few weeks. One thing I have yet to do since I lost that fifty pounds years ago was to see what kind of progress I could make if I was to be 100% dedicated to doing the Acu Hoop every day. Since this blog makes me very accountable for my actions, I will turn that pressure into motivation to stick with this challenge. So here I am on Day 1. I just finished my 10 minutes. My waist is 45 inches. I think the smallest I got my waist down to was 35″ so that’s pretty depressing to realize I’ve gone up 10 inches. What’s crazy though is that my pant size hasn’t really changed!! How does that work!? Anyway, I look forward to updating you all on my inch loss soon! I’ll do another measurement in two weeks from now to see how it’s going! Also, don’t forget to enter for a chance to win a case of popchips! The contest ends Friday at midnight – enter now! This entry was posted in April Post and tagged acu hoop, april, april guest post, exercise challenge, exercise equipment, fitness, fun exercise, hula hoop, hula hooping, weighted hoola hoop, weighted hula hoop. That looks like such a fun way to exercise! One of my favorite Wii Fit games is the Hula Hoop game, it definitely gets my heart pumping! I tried the Wii Hula Hoop too! It definitely gave me quite the workout and I learned that I am not nearly as good as hooping to the left as I am at hooping to the right, hah! That is a great workout idea!!! This might be a good thing for me to do with my C25K right now, to mix it up a little bit. Can’t wait to hear about your progress! I chose mine because it was the same kind we had at the gym I used to work at. I got the one with the bumps on the inside as pictured in the blog in a 5-pound model but the one at the gym was only 3 pounds and much easier to do for longer amount of time. Each hoop should have a recommendation of which one you should buy by your weight. I used to describe the hula hoop workout as “beating the fat in” because that’s what it can feel like if you’ve been doing it for a while. They only recommend 10 minutes because it does cause a lot of action to happen in your entire trunk of your body. One time I did it for about 45 minutes throughout the day and it felt like a wild unicorn had a tap dance lesson my stomach. It was horrible. And the bruises were not cool.